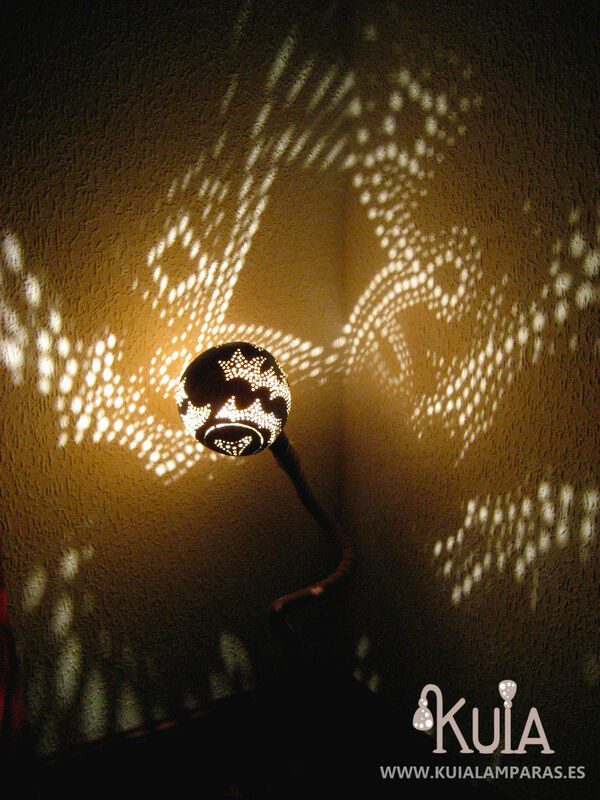 Arabic lamp. 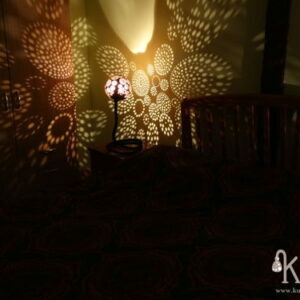 This table lamp can be used like a floor lamp. 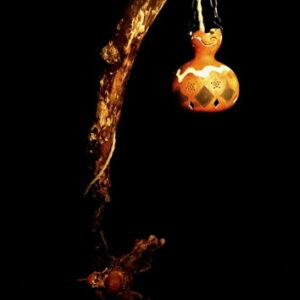 It is a craft gourd lamp, so is perfect for a rustic and ecological decoration. 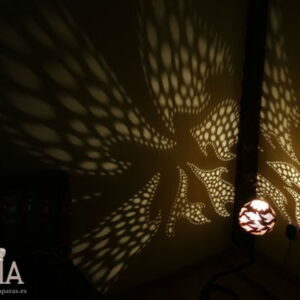 It was carefully sculpted to get holes that can project beautiful drawings on the wall of your home for a perfect decoration. 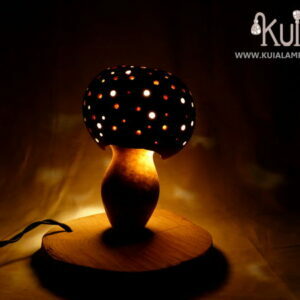 It’s perfect for who love the ecological and ethnical furniture. The base is a varnished wooden trunk. 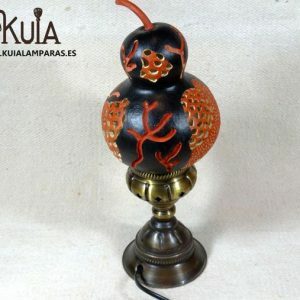 The lamp is malleable so that it can be oriented. 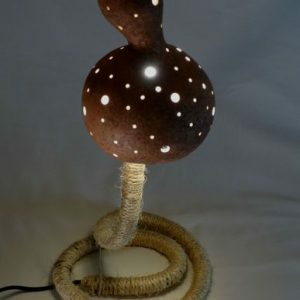 I also created a lid to replace the light bulb in an easy way.